1978 Camp David Negotiations Research Papers delve into a sample of an order that discuss what countries they go over, and the history of this event. 1978 Camp David Negotiations Research Paper should be written on a political level. Focus on the 1978 Camp David Negotiations between Israel & Egypt. Many aspects of the 1978 Camp David Negotiations can be covered. Be sure to narrow your topic to not make the paper too big of a chore. Paper Masters can help if the topic proves too complex for you to write or you run out of time. Here is what we would suggest for a format. The source documents for this paper can be accessed on the Internet and should be primary government resources. You will want your research paper to analytically examine the negotiations that occurred between Egyptian President Anwar Sadat and Israeli Prime Minister Menachem Begin at the Camp David (Maryland) retreat in September 1978. The study examines the diverse goals of the major parties involved and the complex negotiations and the planning and preparation processes that took place prior to a summit that was aimed, at least on its surface, at reducing tensions between Israel and Egypt in order to prevent long-standing conflicts from worsening and affecting other countries in the troubled Middle East and other parts of the world. The study also integrates diverse readings, theories, and concepts to objectively describe and analyze the events that occurred at Camp David. Briefly, what led to the meeting? Who were the players involved and what took place (purpose)? What were the circumstances surrounding the meeting | /negotiations? What were the positions /wants /needs /strategies of each side? Where there other international players involved, effected and, if so, how? What was the mediation strategy of Carter? What were the results (outcomes)? A careful reading of the existing works can provide important insights into the core issues and circumstances that led the key parties to the negotiating table. In the period leading up to the summit, many of the most important matters for the two primary parties involved the troubled and often bloody relationships between Israel and its majority-Muslim neighbors in the Middle East. In fact, long-simmering Arab-Israeli tensions meant that by even 1978 Israel and Egypt, two of the leading players in Middle Eastern affairs, had failed to establish diplomatic relations. Indeed, beginning with the establishment of the modern State of Israel in 1948, the two countries had for three decades essentially been in a state of war, with unceasing frictions that had periodically burst into real and deadly battles. The study is divided into five major sections, each of which addresses a key issue pertaining to the Camp David negotiations. The first section analyzes the circumstances leading up to the negotiations, focusing on how the long-brewing tensions between Israel and Egypt and the volatile conditions in their world region pushed leaders from the two countries towards the negotiating table. 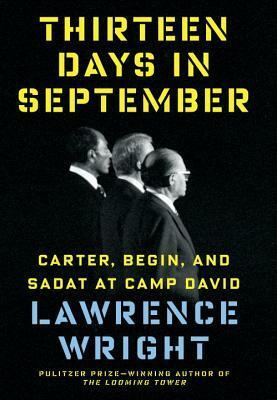 The second major section examines the key positions, wants, needs, and strategies of Egypt and Israel as they headed to Camp David, critically exploring both the overtly stated factors involved in the negotiations and the processes leading up to them, and the silent variables that operated in the backgrounds. The third section of the study explores the wants and objectives of the third major international player in the negotiations, the United States, analyzing the key issues that led this country to switch roles between that of host and that of interested participant. The fourth main section examines U.S. President Jimmy Carter’s “mediation” strategy at Camp David, detailing how Carter worked to ensure that the negotiations proceeded in directions which he thought would best serve the interests of his own country. Finally, the fifth section examines the short- and long-term results of Camp David, demonstrating that, while the negotiations have help to prevent conflict between Israel and Egypt for almost three decades, they have failed dismally in their supposed objective of promoting a more general Middle Eastern peace. The U.S. role at Camp David went beyond that of a mediator with little vested interest in the type of agreement that might emerge from the negotiations to encompass active participation (at least behind the scenes) in efforts to ensure that whatever agreement emerged would serve to bolster American objectives in the Middle East. In fact, the basic framework of Carter’s “mediation” strategy had been laid out over several years preceding Camp David when the severe crises prompted by the Yom Kippur/Ramadan War of 1973 had impelled President Nixon’s Secretary of State/National Security Advisor Henry Kissinger to instigate his celebrated “shuttle diplomacy”—intensive efforts to find some way out of the morass that threatened to gravely destabilize the Middle East and much of the rest of the world with it. Thus, some of the strategies pursued by President Carter at Camp David bore Kissinger’s indelible imprints. Such was the case, for example, with Kissinger’s conviction that, given Anwar Sadat’s strong interests in ending tensions with Israel and building better relations with the United States, Egypt could be persuaded to let Israel retain major parts of the territories that it had occupied during and after the 1967 war. Kissinger had also perceptively perceived that in his eagerness to steer Egypt away from the Soviet embrace Sadat would be willing to place considerable trust in Washington’s intercessions in the negotiations process. Furthermore, Kissinger also apparently sensed that, in spite of Sadat’s seemingly resolute public assertions that any agreement between Egypt and Israel had to be linked with a broader resolution between Israel and its Arab neighbors, the anxious Egyptian president would, if pressed, concede to a relatively shallow façade of a general Arab-Israeli accord so as to attain a more stable arrangement with Israel—and, perhaps more importantly, a closer relationship with the United States. To understand the real short- and long-term impacts of the negotiations, however, it is important to understand that the two accords which they produced laid out two very different sets of goals, only one set of which has, at least to a certain extent, been achieved. The first accord was the so-called Framework for Conclusion of a Peace Treaty between Egypt and Israel and, as the title indicates, presented in considerable detail a framework to guide the ending of long-standing conflicts between the two main signing parties. A product of diplomatically legitimate negotiations between the leaders directly involved in the process, this document has generally been respected by its two signatories over the years and led to the most positive outcomes from Camp David. Even so, however, Egypt and Israel are yet to achieve a genuine conciliation and relations between the two countries might best be described as a “cold peace” characterized, above all else, by the mere absence of overt conflict. Yet even by such dim standards, the second major accord to emerge from Camp David—the so-called Framework for Peace in the Mideast—can be considered a drastic failure. Considerably more ambitious in its objectives, this accord purportedly aimed, among other things, to resolve the bitter Palestinian-Israeli conflicts, in part by granted limited self-government for the Palestinians. Moreover, in addition to dealing with the troubling Palestinian issue, the document also addressed such perplexing and wide-ranging problems as the disputes over the West Bank, the Golan Heights, and East Jerusalem. As such, the Framework for Peace in the Mideast was probably doomed from the inception, relying as it did upon further negotiations between Israel, Egypt, and other parties—including Jordan and the Palestinians—that had not been involved in the production of the document. Moreover, the document was (perhaps intentionally) quite vague and inexact in laying out its highly ambitious goals—a reality that fed immediate doubts about the true intentions of the parities producing the document. In fact, the three major parties at Camp David seem to have somewhat cynically presented this second document, which involved territories and issues about which they were, in fact, unqualified to sign, and which they were probably aware had little real chance of moving forward. Perhaps inevitably, none of the key terms laid out in the document were ever put into effect. In this respect at least, the Camp David negotiations emerge as a major diplomatic sham that produced one set objectives that stood little chance of being achieved. The dismal state of affairs in the Middle East today testifies to that sobering reality. Palestinian and Israeli Conflict research papers show this conflict as the source of much of the discord in the Middle East. Paper Masters writes custom research papers on 1978 Camp David Negotiations and delve into a sample of an order that discuss what countries they go over, and the history of this event.